Our Acupuncture Brisbane clinic has 20+ years experience in Chinese Medicine. We are fully qualified in Acupuncture and Chinese Herbal Medicine, all our Acupuncturist and Chinese Herbalists are registered practitioners with the Chinese Medicine Board of Australia. Our Brisbane Acupuncture Clinic has assisted many patients with difficult conditions using Acupuncture and Chinese herbs over the years, such as: muscular and joint problems, back pain, various internal illnesses, digestive problems, chronic symptoms since childhood, natural fertility / ivf acupuncture support and all kinds of Sports injuries. Our client lists are based on constant referrals from GP doctors and clients. We have assisted couples with IVF Acupuncture in Brisbane for over a decade, been one of the first clinics in Brisbane to work with IVF Acupuncture protocols. Incorporating IVF Acupuncture with IVF protocols has proven in increase success by 60% – 70%. View our IVF Acupuncture main page to see our 5 stage IVF support program. We have highly experienced practitioners who arecapable of diagnosing the most complex internal conditions. Dr Francesco our head Chinese Medicine practitioner has a wealth of knowledge and experience from many years of clinical experience from Australia and China, Chengdu main Public Hospital where he assisted in many internal medicine departments. Chinese Medicine has over 800 yrs of recorded treatments for pain treatment. Acupuncture and Chinese herbs are very effective for treating all types of pain. Our clinic has developed a reputation for treating the most untreatable of painful conditions from arthritic painful joints to neurological pain due chronic long conditions, inflammations or acute injuries. Free yourself from pain today! Acupuncture is one of the most effective treatment methods to correct all types of muscular / skeletal disorders. We treat a wide range of muscular skeletal condition from Sciatic and disc prolapses to sprains and strains of muscles and tendons. Our Brisbane Acupuncture Clinic has easy access with parking right near the front door. Call our clinic and make a change. Looking for a Sports Medicine physician? Our clinic excel in treating all types of sports injuries. Acupuncture is very effective and can be combined with massage, cupping and gua sha or spooning to get maximum results. Dr Francesco has a real depth of knowledge and skill at diagnosing problems in your bio mechanical movement to achieve fast and lasting results. You will be amazed how after one treatment you can feel so much better. Chinese Medicine can assist with all types of emotional health conditions from anxiety and depression to bi-polar and mania, we have vast experience with emotional health conditions. Dr Francesco has also worked in Drug rehabilitation clinics in Melbourne and is fantastic with all types of addictions. Our Acupuncture Brisbane Clinic prides itself on its quality of health care and professional but yet personalised services. We Have extensive experience of treating all types of health conditions means we can provide effective treatments to help you achieve your health goals. >> Find out more about our services and what we treat. To make an appointment, please fill in online booking form below or go to our appointment page for more information about the cost and health rebates. Any questions regarding to how we can help you please call us on 07 3820 2887. Our Clinic is by appointment only, we are unable to take walk in clients. Thank you. 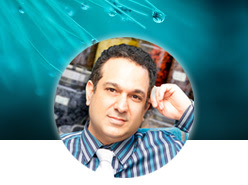 Dr Francesco is a highly qualified and experienced practitioner who has been involved in Natural Medicine for over 20 years. Francesco has a holistic approach to health and wellbeing that acknowledges the whole person, body, mind, and spirit. With his wide range of experience, he is able to communicate with, and treat clients from both clinical and holistic, individual perspectives.